What to eat in the final week? If you’ve ever heard someone mention carbohydrate loading or a.k.a carbo-loading you may be wondering what this is. It can be quite confusing hearing / reading about it, so I’m going to make this really simple for you to achieve carbo-loading correctly. The definition is: Carbohydrate loading, commonly referred to as carb-loading or carbo-loading, is a strategy used by endurance athletes, such as marathon runners, to maximize the storage of glycogen (or energy) in the muscles and liver. For the final week you’re going to need to slightly increase the amount of carbohydrate rich foods you eat in each meal and snack whist decreasing the amount of training / running you do. No ‘white’ starches and no potatoes (other than sweet potatoes) should be eaten. Green light to eat things like brown rice, wholegrain wraps, oats, butternut squash, parsnips, pumpkin, wholegrain bread, fruits, wholegrain rice cakes. Don’t go overboard with the carbs though as this will leave you feeling bloated and sluggish and don’t load up on junk food. Stay well hydrated and aim to drink 2.5ltr -3ltrs of water each day leading up to the race. What to eat the night before? Aim to have your main meal of the day at lunchtime rather than in the evening. By doing this you’ll give your stomach plenty of time to digest the food and you won’t go to bed feeling bloated and sleep much better. Have a small supper / snack early evening and get an early night. Below is a sample meal that I would have the day before. Preheat oven to 180 C.
Place parsnips in a medium saucepan, add enough salted water to cover. Boil over medium-high heat until parsnips are soft. While parsnips cook, heat oil over medium heat. Add sliced onions and garlic and cook. At the same time in another large pan, heat oil and add diced carrots, and chopped leeks. Cook for about 10 minutes, add mushrooms and cook for another 5 minutes. Add meat and continue to cook until it is cooked through. Add remaining ingredients to meat and simmer over low heat for 15-20 minutes. Remove thyme and basil and pour into a deep oven proof dish. Place warm, cooked parsnips, caramelized onion mixture and 1 Tbsp butter in food processor and process until smooth. Add another tbsp butter, if needed for consistency. Spoon parsnips on meat mixture and smooth over the top. What to eat race day breakfast? Aim to eat breakfast 2-3 hours prior to the race. For me my race day routine is 6-7 spoons of jumbo oats mixed with 2 spoons of frozen blueberries and cooked in a pan with organic semi-skimmed milk. I then may add some flaxseeds, a few almonds and pumpkin seeds or 1 scoop of pea protein powder for extra protein. Another option would be wholegrain toast with organic peanut butter and sliced banana on top. What to eat during the race? Everyone is different and what may suit you may not work for someone else and vice versa. Whatever race eating strategy you implement on the day don’t try anything that hasn’t been tested in training. Some people like to take gels and aim to take one every hour that your running. I prefer to take a little something with more sustenance like a Cliff bar and aim to have one every 90 minutes. Towards the end of the race I would take a Cliff Shot block, which is similar to a gel but in the form of a chewy sweet and far less messy than a gel. Electrolytes are important to drink and can be mixed in with water. These are important to take every 90 minutes. Another alternative would be a banana. Whatever you decide to eat make sure it agrees with you during a practice training run. If you’re more adventurous then you could make your own race bar. 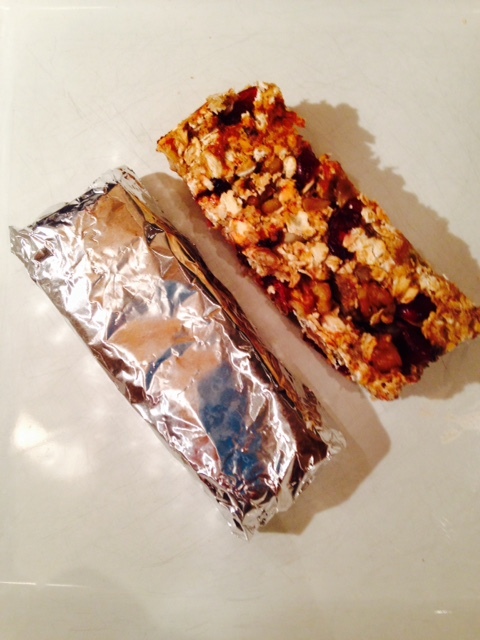 Below is the recipe for my homemade muesli bar. Preheat the oven to Gas Mark 5, grease and line a flapjack tin. Chop the apricots and dates. Mix the oats, dried fruit, sunflower seeds and linseeds together. Add protein powder here if you are including. Mash the bananas in a separate bowl, add these to the mixture along with the oil. Heat the honey for 20 seconds in the microwave and add to the mix. Spoon into the tin and bake for 25-30 minutes. Cover for half of this time with foil or baking parchment to prevent the top layer of fruit burning. What to eat straight after the race? 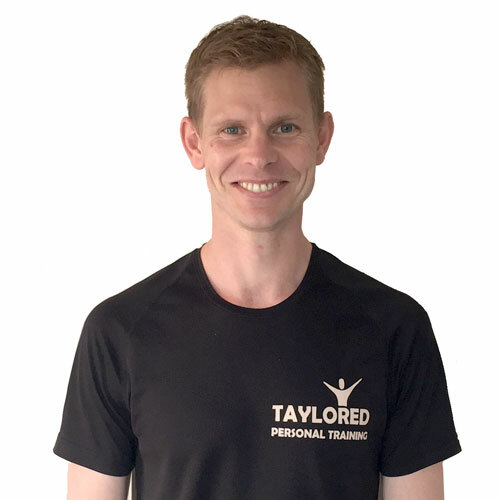 After running the marathon your probably not going to be feeling very hungry but it’s important to eat and drink something light within the first 20 mins of finishing to help replace lost fluid and aid muscle repair. I would aim to have a light snack like a Cliff bar or home made muesli bar and ½ pint of semi-skimmed milk. Then I would aim to eat a meal within 60-90 mins from eating the snack. Remember now is the time to eat more protein than carbs as your body will need the extra protein to help with muscle repair and damage. Here is one of my favorite meals post race. To be super organised you could make this the day before! In a large bowl, place the turkey. Combine sun-dried tomatoes, red pepper, and shallot in a food processor and pulse until finely chopped. Add to turkey mixture. Add pesto to turkey and mix all ingredients well with your hands to combine. Season with salt and pepper. Form into medium sized patties and refrigerate until ready to grill. Grill burgers for approximately 5 minutes on each side or until cooked through. Put the walnuts, garlic, salt and pepper in the food processor and pulse until coarsely ground. Add the basil and pulse a couple of times. With the food processor on, drizzle in the olive oil until your desired consistency is reached. It’s also important to stay well hydrated after the race and for the week ahead to avoid dehydration.